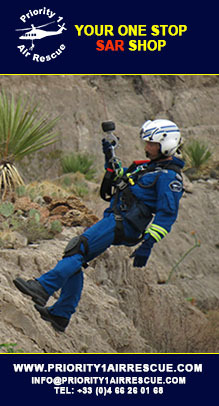 During an event organized at its Marignane site on November 23 for members of the French Association of Professional Aerospace Journalists (AJPAE), Airbus Helicopters detailed its 2016 results. 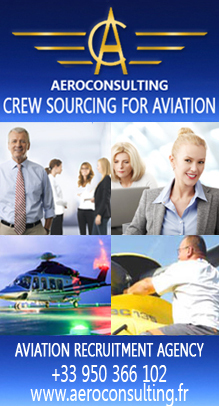 The company also offered its take on the state of the civil and parapublic helicopter market through to 2036. Read on for a detailed account. Airbus Helicopters has only just safely escaped a heavy turbulence zone. Of course, it’s not the only member of this specialized segment of the aerospace industry to have taken a hit from the drop in oil prices and the ensuing consequences for offshore drilling. But CEO Guillaume Faury is unlikely to ever forget the crises the company faced following the serious incidents that took place over the North Sea in 2009 and 2016. The crash of a German Tiger attack helicopter in Mali last July didn’t help matters either. But as 2017 draws to a close, his belief in a brighter future remains untarnished. “We’re taking a lot of orders at the moment,” Faury shared with the attending journalists. He then went on to say that the “civil and parapublic market has stabilized since the beginning of the year.” The oil & gas sector, however, is not expected to rebound in the foreseeable future, so the company is adapting to the new status quo. “We’re working on other things,” affirmed Faury. There are a number of possible markets, and each one must be targeted precisely. Guillaume Faury notes, in particular, that the lightweight twin market “is buoyant,” as is the single-engine market, where the European manufacturer feels it has “a solid foothold.” The Asian market—especially the Chinese market—remains extremely promising in the Franco-German helicopter manufacturer’s eyes. Military customers have also stepped up interest. “We are participating in several ongoing campaigns,” explained the CEO, who mentioned orders for the Super Puma family—H225s and H125s—to be delivered in the next three years. How many, exactly, is confidential. But it’s clear that the announcement of sales of the H225 family, which so urgently needs a boost to regain civil operators’ trust, is intended to have subliminal effects. 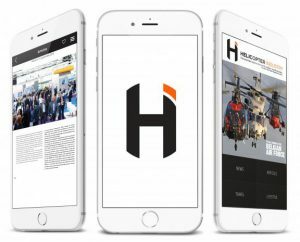 While the company waits for the public opinion campaign to repair the its reputation (see our interview with Régis Magnac in this issue of Helicopter Industry), innovation is the watchword. 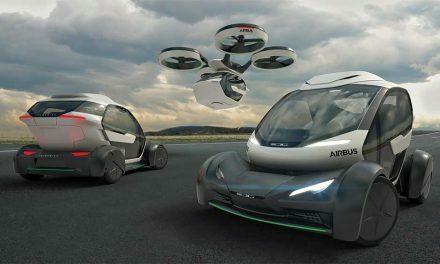 And to innovate, Airbus Helicopters needs to “generate funds for investment,” or, in other words, sales—particularly in a segment where the company remains a major player. 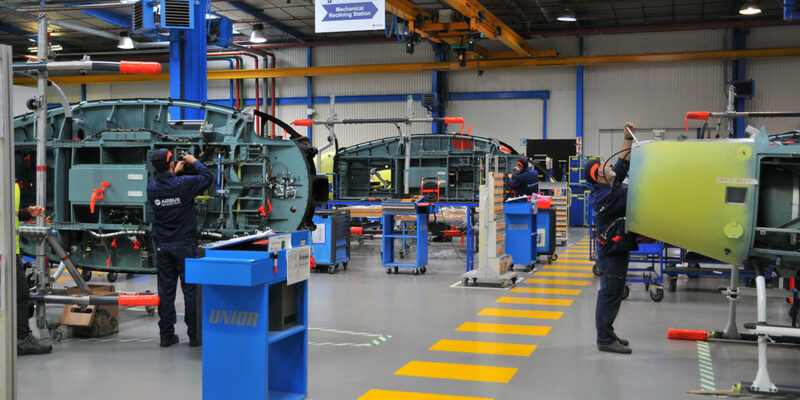 Hence the effort put into stimulating the production lines for the H125 and H130, which are now organized for optimal flow and equipped with digital monitoring tools for each assembly phase. “This is a great example of the way the company has changed,” highlighted Faury. 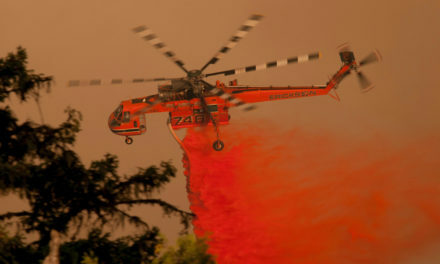 Moreover, the company plans to invest in these helicopter models in two ways: “both in the production line and in the product itself.” The CEO also confirmed that production of the H120 helicopter has “definitively ceased.” The former EC120 was never a big seller, of course, but its quiet disappearance from the catalogue confirms the manufacturer’s new strategy as it “moves away from the low-end helicopter market,” which doesn’t generate enough revenue for big companies. As for innovation, Guillaume Faury mentioned, “improving old formulas with new materials and cutting-edge digital and electronic equipment,” but also, “addressing the new challenges of urbanization, particularly zero-emissions 3D transportation in cities.” Airbus Helicopters aims to produce “new solutions.” A challenge in and of itself, especially when you take into account the number of ongoing initiatives in the field all over the globe, many of which are helmed by small companies backed by investors looking to benefit from the new possibilities these revolutionary aircraft bring to the table. “We are convinced it will be its own stand-alone market segment. In China, new cities are already being designed with 3D transportation in mind,” noted the CEO. 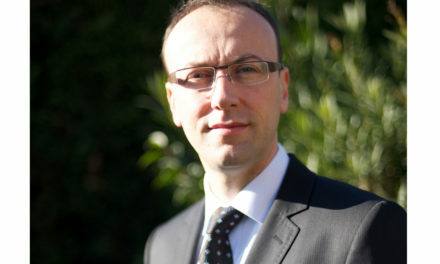 David Prevor, Head of Marketing Analysis and Forecasting at Airbus Helicopters since 2014, was responsible for commenting the 2016 results and presenting the company’s forecasts for the next 20 years. Forecasting is always a tricky exercise, but the content of his presentation had obviously been carefully crafted. Overall turnover in the civil and parapublic sector of €6.65 billion in 2016, 57% of which came from military customers: at Airbus Helicopters, the approximate 50/50 ratio of the two sectors (civil and parapublic vs. military) varies from year to year. Last year, the latter was more active. 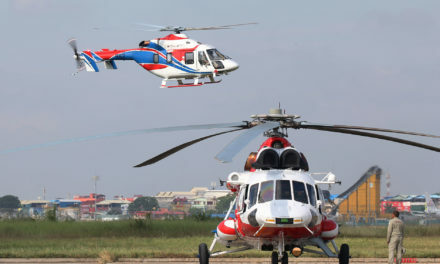 Taken as a group, all helicopter manufacturers recorded a historic drop in orders over the five-year period from 2012 to 2016, with a corresponding drop in production from 872 to 570 aircraft. 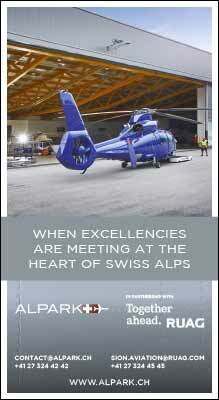 However, Airbus Helicopters increased its market share over the same period, from 48% to 56%. 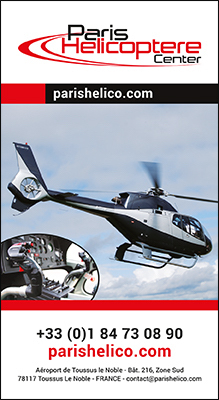 In the single-engine six-to-eight seat category with a maximum takeoff weight over two metric tons, the H125 and H130 claim a 69% market share—a remarkable performance. The only potential rival in sight is Bell Helicopter (with its 407). The numbers are similar in the lightweight twin-engine category under four metric tons (six to 10 seats): the H135 and H145 triumph, with a 68% market share, over the Leonardo AW109 and the Bell 429. Last but not least, at the top of the medium helicopter category (maximum takeoff weight between six and nine metric tons), the H175 earned a 67% market share, over the l’AW189 (as we await the Bell 525). The figure is impressive, but it is important to remember that this intermediary category is a relatively small market for the time being. Now for the forecasting. 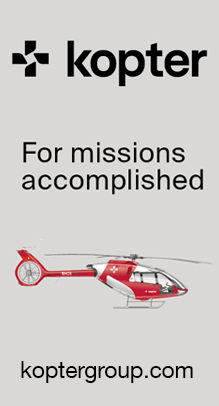 After predicting the 2036 ranking of the current top ten global economic powers (the forecast suggests that France and the UK will be bumped from the group, and that India will move up to second place, behind China and above the U.S.), Prevor estimated that over the next 20 years, the global helicopter market will generate approximately €370 billion in sales: €245 billion in customer service and just €125 billion in the sale of new helicopters. Half of these aircraft will be single-engine helicopters, which will only account for 17% of total value. Lightweight twin-engines will account for a quarter of sales and associated revenue. Medium helicopters will account for 11% of aircraft sold (21% of revenue), while super-mediums (the category where the H175 is positioned) will account for 9%. Finally, heavy helicopters will continue to account for a small share of total production, at 6% (and 17% of revenue). Unsurprisingly, the regions where demand will be strongest are North America (14% growth) and Asia-Pacific (157% growth), followed by Europe (17% growth). 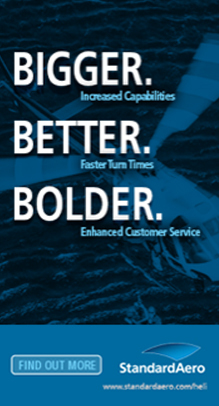 All these indicators confirm what we already knew: the most populated countries, and those with the most investment power, will determine the future of the rotorcraft industry.